The law profession plays a vibrant role in the justice administration. Law colleges are the recruiting grounds in this law profession. There is a strong requirement to infuse a new courage to produce legal professionals and lawyers which are professionally competent and socially relevant. While in search of a law college, you always want college which possesses such skills. Direct admission in BMS College of Law, Bangalore will provide such facilities. BMS College of Law is one of the best law colleges of Bangalore University. BMS Educational Colleges are ruled by BMS Educational Trust. Justice S. R. Bannurmath is the chairman of the BMS Trust. He is the Chief Justice of Kerala High Court. A number of reputed educational colleges like Architecture, Information Technology, Commerce, Science, Law, and Engineering are run by the BMS Educational Trust which imparts quality education. 12000+ students are seeking higher education in these reputed BMS institutions. 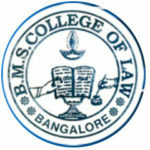 The BMS College of Law, Bangalore is located in the Bangalore city. In 1963-64, the BMS law college was started with the support of BMS Educational Trust. BMS College of Law is recognized by BCI (Bar Council of India). In the beginning, the BMS College of Law was under the Mysore University and after some time, the affiliation was changed to Bangalore University. At present, the BMS College of Law is under the KSLU (Karnataka State Law University). Why BMS College of Law, Bangalore? Library: The The library possesses a large number of International and Indian Journals, Law Books, and Law Reports. At present, library has 16003 collections which include journals and books. Our library has integrated LIBSOFT library automation software. Moot Court: The BMS College of Law possesses spacious and well-furnished Moot Court. The LL.B. students are given mandatory training to take part in LokAdalats, Moot Courts, and Group Discussions. Admission in BMS College of Law, Bangalore is very beneficial to you as workshops, seminars, as well as guest Lectures are held on regular basis by eminent law personalities. Placement: The BMS College of Law has a placement committee which is the stepping stone for the law students. The placement committee deals with the numerous top notch law firms, government and corporate bodies to help the law students to get placed after completing the course. Sports: The College provides various outdoor and indoor games like carom, chess, volley ball, Badminton, Throw Ball, and Cricket etc. Computer Lab: BMS College labs are designed ergonomically and artistically, where law graduates develop their desire skills as per the needs of the industry. The College offers education on computer fundamentals necessary for this law profession. NSS: The NSS unit of BMS College of Law, Bangalore prepares student for social work. It helps in the development of the student’s personality. Various NSS campuses are organized in slums. With the help of its humane activities the volunteers of NSS unit have connected with backward masses. Anti-plastic camp, hygiene education are some of the volunteers activities. The NSS camps helps in the development of community assets like sanitation, canals, roads and various other requirements of the society. If you want to seek the services of BMS College of Law, Bangalore, then contact us. The BMS law college is the prominent college of Bangalore. So avail your seat as soon as possible. Call us on 07406010001 to know more.